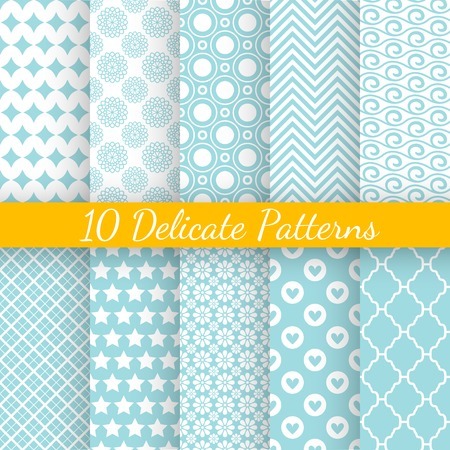 10 Vintage different vector seamless patterns. Endless texture for wallpaper, fill, web page background, surface texture. Set of monochrome geometric ornament. Blue and white shabby pastel colors.